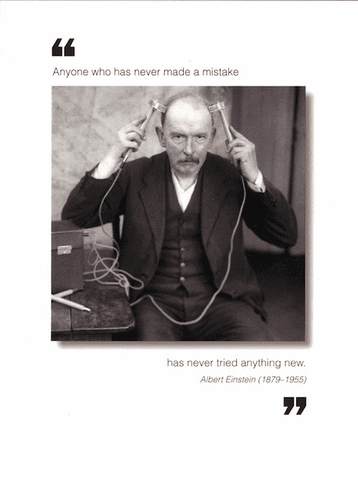 Outside: Anyone who has never made a mistake has never tried anything new. - Albert Einstein Inside: Blank. Borealis Press card measures 5 x 7 inches. Includes envelope.